The Olomu of Omu-Ara in Irepodun Local Government Area of Kwara State, Oba Charles Ibitoye is dead. He died at the age of 65..
His death was confirmed by Chief Festus Awoniyi, the Petu of Omu-Aran. 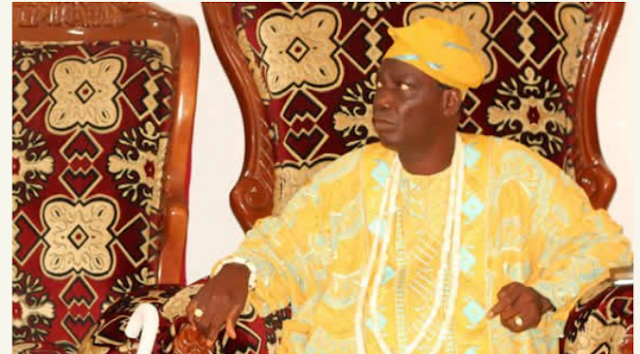 Awoniyi broke the news of the monarch’s passage shortly after the meeting of the Olomu-in-Council on Saturday in Omu-Aran. Prior to Awoniyi’s confirmation of Oba Ibitoye’s demise, the rumour of his death had thrown the community into an atmosphere of tension and anxiety. Oba Ibitoye was reported to have died after a brief illness.